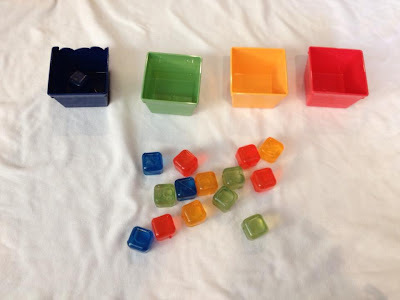 Dollar Tree find…..colored containers and plastic ice cubes for sorting. 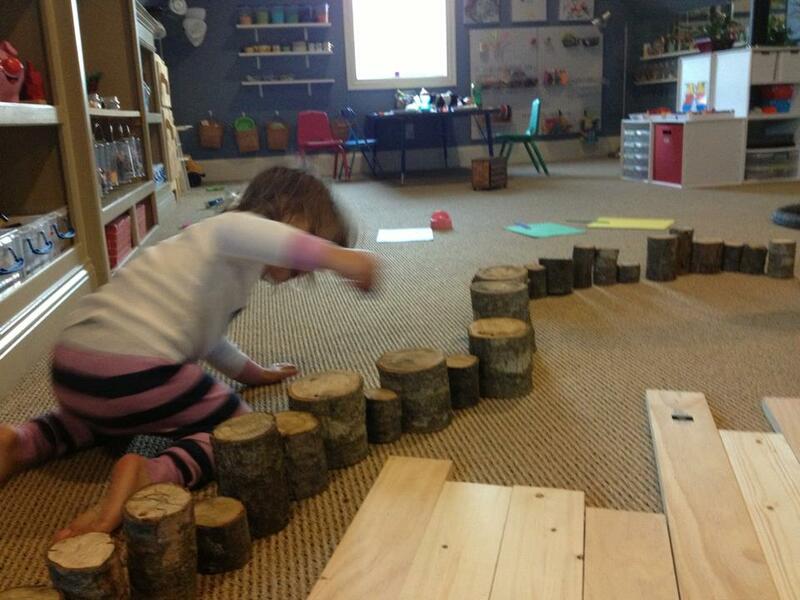 Create your own tree blocks….all you need is a thick branch or thin tree trunk and a saw. 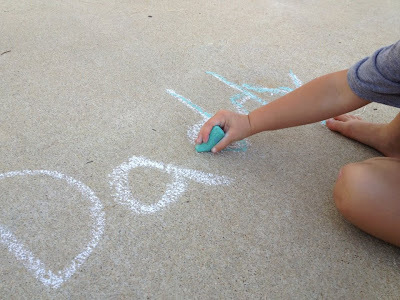 Tracing…..use sidewalk chalk to trace letters….names….shapes….etc. 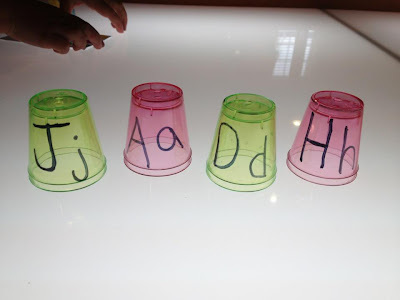 Upper/lower case letter match…..use a Sharpie marker to write letters on shot glasses and have the child match them up by nesting them on top of one another on the light panel – of course. 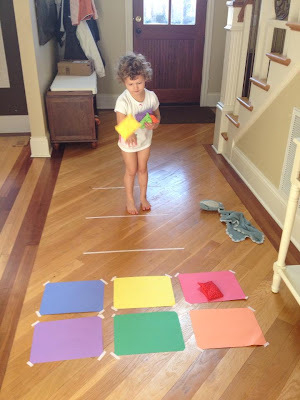 Bean bag toss….tape colored construction paper to the floor as well as challenge lines where the child is to stand and have them toss the bean bags onto the corresponding colors. 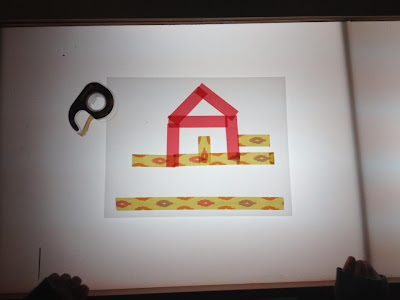 Oral Motor control…..tape colored paper to a table and have the children blow pom-poms through a straw onto its corresponding color. 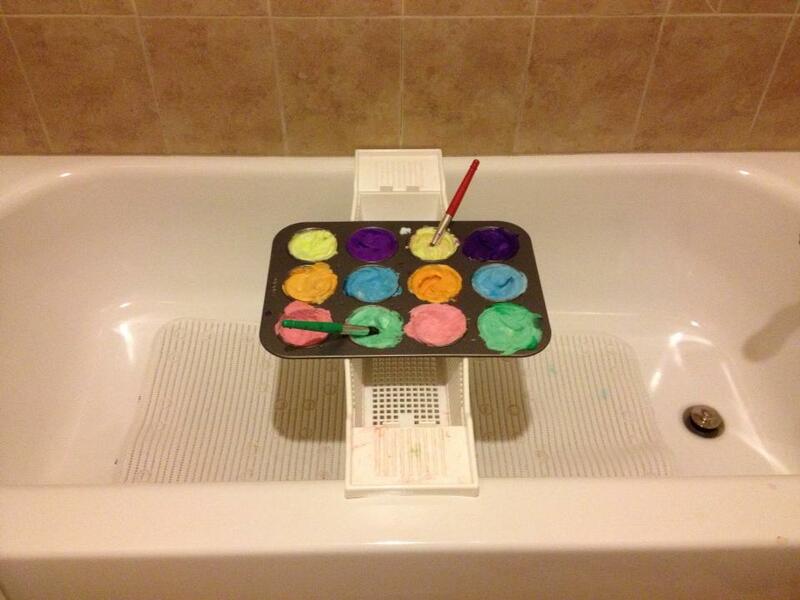 Bath tub paint….shaving cream colored with liquid watercolors. 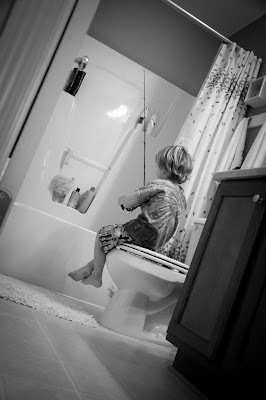 Imaginative play….fishing in the bath tub. 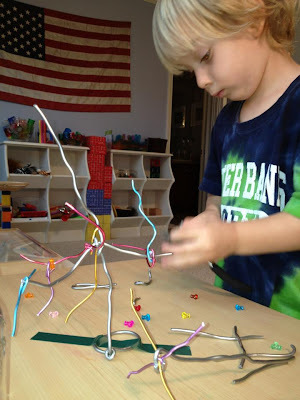 Wire play – similar to our WIRED POST…..using floral wire to create. 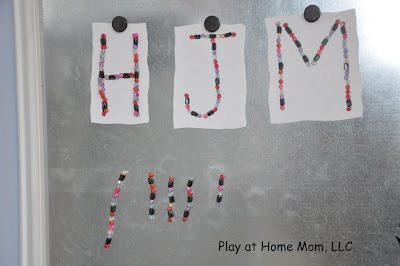 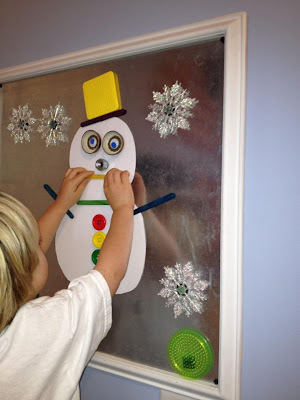 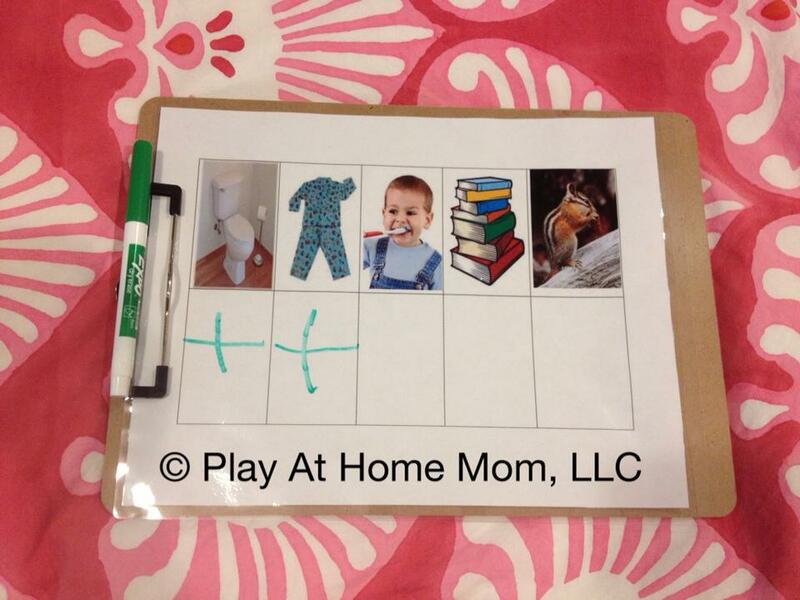 Use magnetic beads on the magnet board. Make various sized strands of magnetic beads, create letters and print them, then use them on the magnet board……the child uses the templates and bead strands to build the letters. 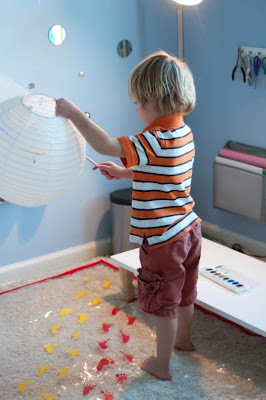 Ball ramp – simple fun with a bowl of balls and a gutter! 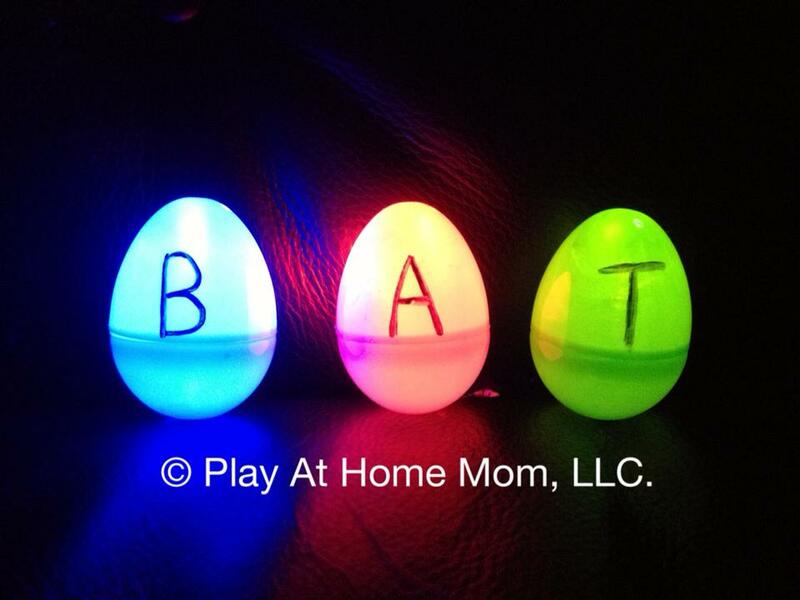 A spin off of our ILLUMINATED EASTER EGG HUNT…..letter find and building words. Use a sharpie to write letters on the eggs. Building with sugar cubes. 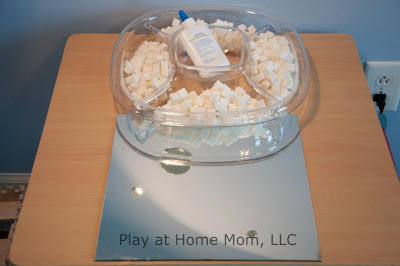 Use powdered sugar and water mixed together as a “glue” to build towers, houses, and more!! 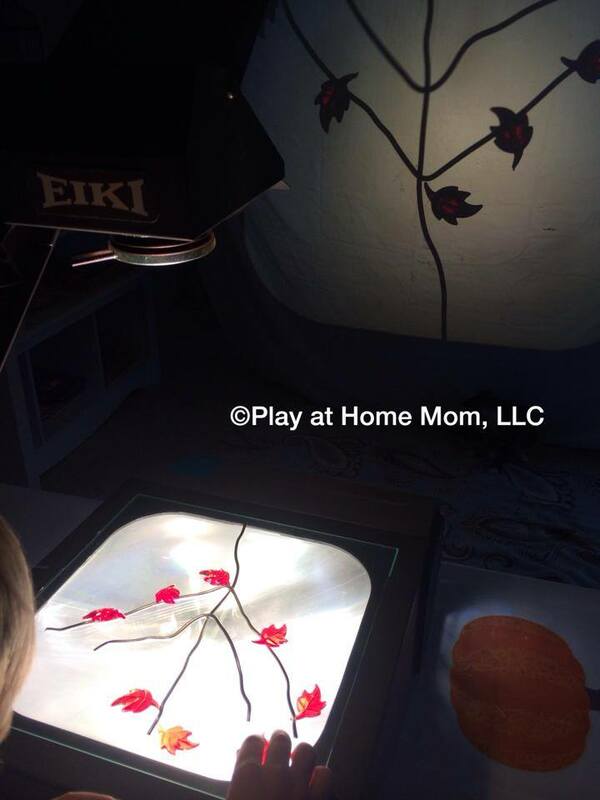 Fall tree on the overhead projector (or light panel). 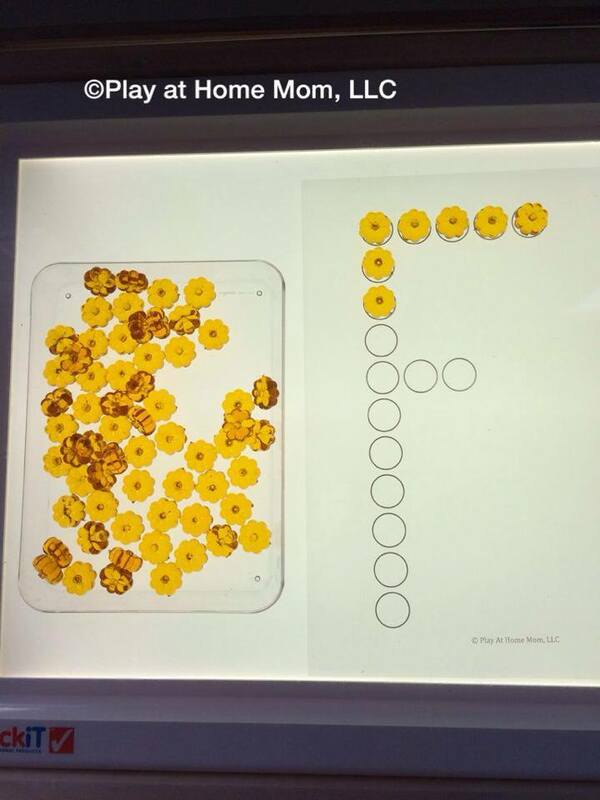 Transparent leaf gems from Michaels…..child decorates Fall tree. 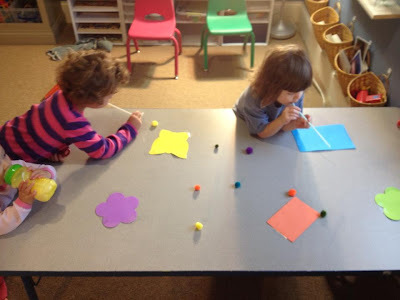 Using Pumpkin gems with the LETTER CIRCLE SHEETS. 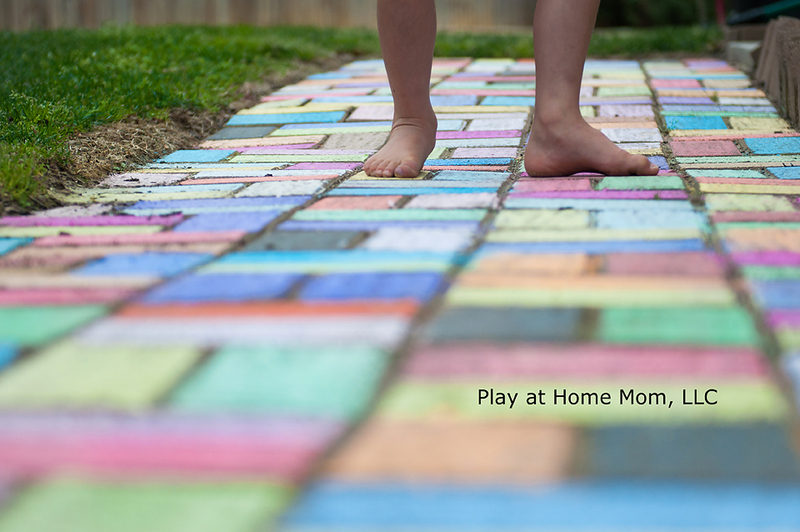 Beautify your sidewalk with sidewalk chalk. 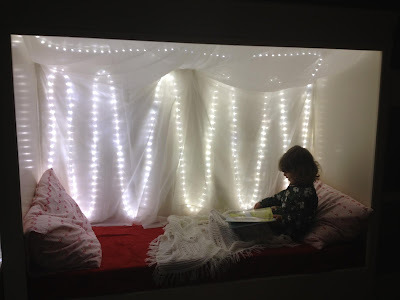 Im sure we will add to this list as we come across pictures we have posted and never really blogged about…..and as the questions start rolling in. Your blog is so helpful!! 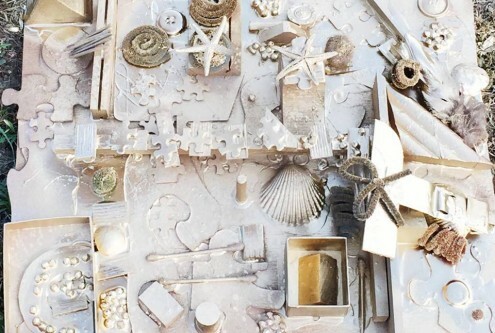 It is full of inspiring works and ideas! 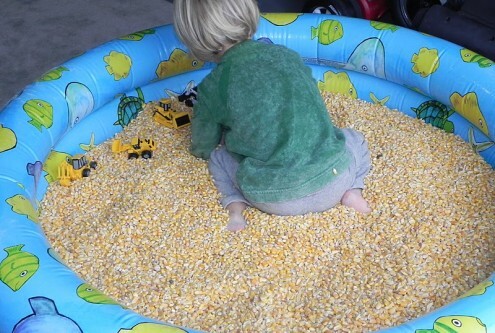 Thanks alot!! 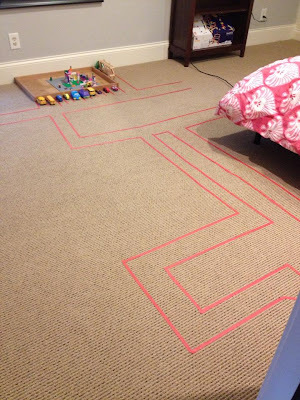 Pingback: Here Are 33 Brilliants Ways You Can Keep Your Kids Busy, All For Under $10. I Wanna Do #15! 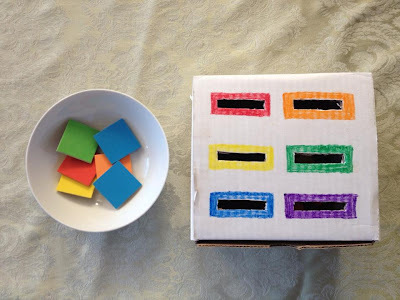 Pingback: Jeobox – Here Are 33 Brilliants Ways You Can Keep Your Kids Busy, All For Under $10. 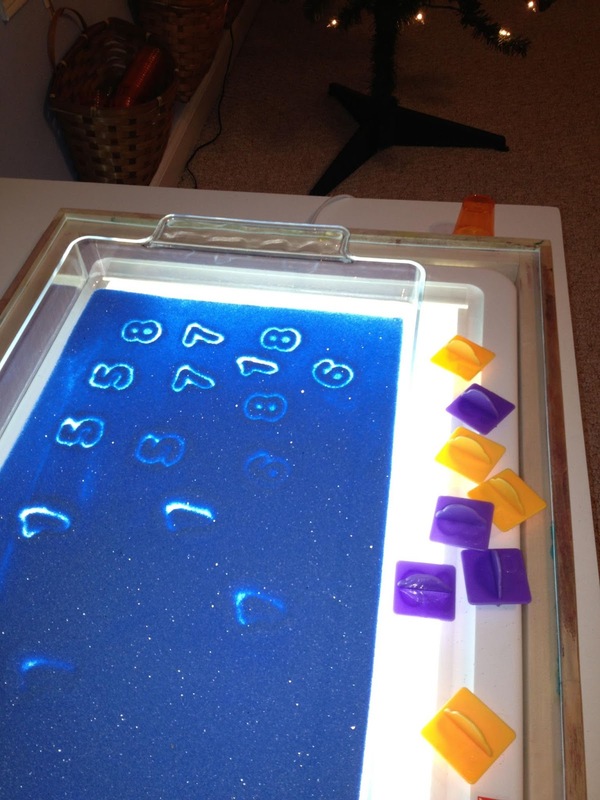 I Wanna Do #15! 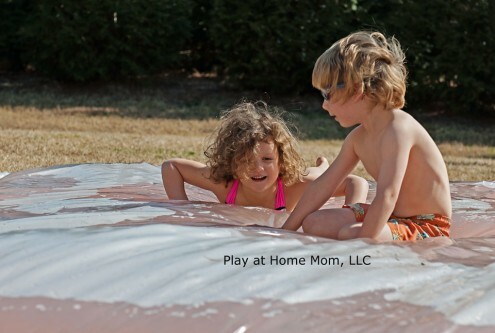 Pingback: 33 Activities Under $10 That Will Keep Your Kids Busy All Summer | The Usual Sources – Where You Are The Source. 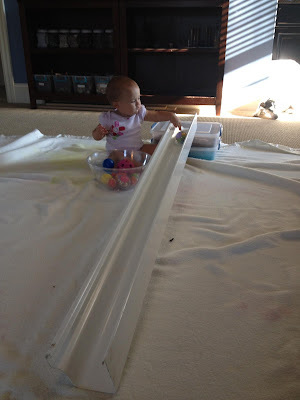 Pingback: Tight Budget? 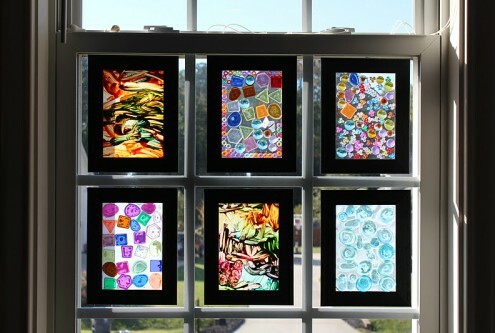 Keep Your Kids Busy and Entertained With These 15 Budget-Friendly Tricks!